Dr. Salierno received his Bachelor of Arts from Gettysburg College in 1972, with a major in biology. He graduated from Georgetown University School of Dentistry in 1977. Dr. Salierno then completed a two-year orthodontics certification residency at Fairleigh Dickinson University School of Dentistry in 1979. Dr. Salierno began practicing orthodontics in Astoria in 1980. 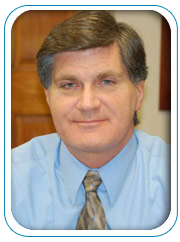 He achieved board certification in orthodontics in 1991, and became a Diplomate of the American Board of Orthodontics. Dr. Salierno is a member of the Queens County Dental Society, the New York State Dental Association, the American Dental Association, the American Association of Orthodontics, and the Steinway Dental Study Group. Dr. Salierno is a founding member of Dentists for a Better Huntington, a charitable organization that raises funds and makes charitable donations to various organizations in the Huntington community, where he also practices.